Manufacturer specs in pdf available. 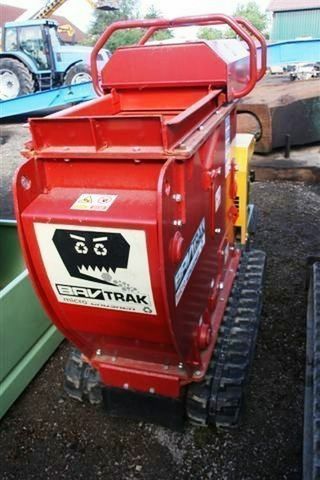 - All parts supplied by BAV crushers ltd, UK. Small enough for compact job sites. Big enough for ‘real-world’ rubble processing. Fast enough for efficient, on-site recycling. Durability and reliability to ensure profit. seconds, without the need for any special tools, using a simple adjuster lever. The processed grade of the material can be tailored to suit the job requirements. Patented feed hopper safety cover system ensures crushing only begins when the cover is shut. trapping and crushing within the jaws. This combined with the unique ‘crush-and-lay’ output system, ensures to creates minimal dust on site. 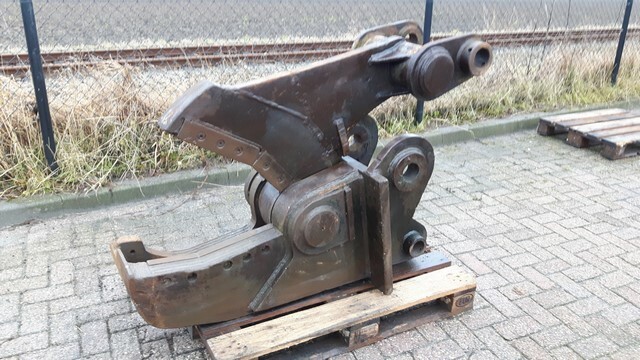 Unit has been tested and inspected by Netherlands NPK dealer. Gas and hydraulic have no leaking and piston moving fine. Only remark:.........Chisel bushing have some wear. NPK dealer report available in pdf. - No crack or welds. - Manufactured and imported from USA. Designed to remove 1.22m and 0.76m long ‘Harrier’ picket pins when dismantling temporary hard standing areas constructed from interlocking aluminium (PSA) panels. Brackets to suit fork or backacter mounting on Light Wheeled Tractor (LWT) and fork mounting on Medium Wheeled Tractor (MWT). Self powered and propelled asphalt cutter. - Videos available of unit running and breaking. - Working Weight: 850 kgs. - Piston is moving correctly but nitrogen gas is leaking. Would need new seals kit. - Minor leaks once under hydraulic pressure. - Engineer had no connection to fill with nitrogen gas and test the piston. Unit would need attention, eventually new seals and an overall to be fully operational. - 2 x units available.